A beloved family musical brightens the holiday season as Syracuse Stage and the Department of Drama combine to present “Mary Poppins” Nov. 26-Dec. 31. Based on the books by P.L. Travers and one of the most popular Disney movies of all time, “Mary Poppins” delighted Broadway audiences for over 2,500 performances and received nominations for nine Olivier and seven Tony Awards, including Best Musical. Join jack-of-all trades Bert, in a visit to England in 1910 and the household of the Banks family, where 11-year-old Jane and 9-year-old Michael have been positively beastly to a series of well-intentioned nannies. Enter (from above, of course) Mary Poppins, with her magic tricks and common sense know-how to charm children and grown-ups alike and remind them how important they are to each other. “Mary Poppins” is an enchanting mixture of irresistible story, unforgettable songs, breathtaking dance numbers and astonishing stagecraft, with lovable characters and plenty of opportunity for special effects and magical illusions. “Mary Poppins” continues the long string of popular holiday co-productions between Syracuse Stage and the Department of Drama. 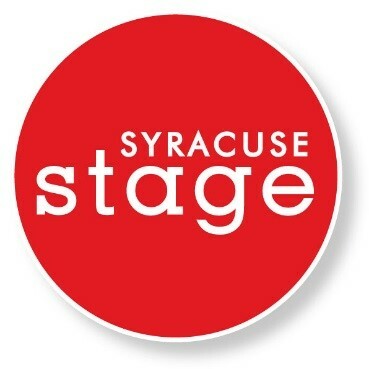 Recent co-productions include “Peter Pan,” “Hairspray,” “A Christmas Carol” and “Irving Berlin’s White Christmas.” Single tickets will be available first to Syracuse Stage subscribers and Flexpack holders. Syracuse Stage and director Peter Amster will hold auditions on April 18 for the following roles for “Mary Poppins.” For more information or to make an appointment contact Chris Botek at 315-443-4008. Jane: the high-spirited daughter of Mr. and Mr. Banks is bright and precocious but can be willful and inclined to snobbishness. Gender: female Age: 10-12. Michael: the cute and cheeky son of Mr. and Mrs. Banks. Excitable and naughty, he adores his father and tries to be like him. Both he and Jane misbehave in order to get the attention of their parents. Gender: male Age: 9-11. Audition scenes will be provided. Those auditioning should prepare 8-16 bars of an upbeat song to be sung without accompaniment.